Ceiling air conditioner vs. Portable air conditioner: the match • The Air Geeks, reviews of air conditioners, dehumidifiers and air purifiers. What is the size of your cooling space? Before you select a particular air conditioner for your room, it is important to understand your cooling needs. Your choice should be determined by many factors including the size of your room, your budget, et cetera. 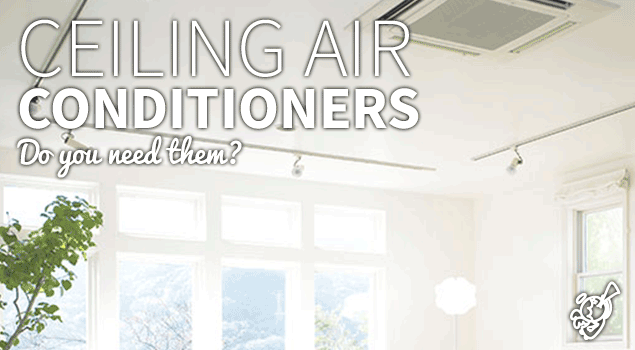 If you are looking for a permanent air cooling system, then you can select a window air conditioner, a ceiling air conditioner, or a floor air conditioner. Alternatively, you can select a portable solution that allows you to move it from one position to another depending on your cooling needs. A ceiling air conditioner is mounted on the ceiling and it usually covers a large space. This type of air conditioners is suitable for offices, living rooms, retail spaces, computer rooms, and so on. Just like portable air cooling systems, ceiling air conditioners are available in a wide range of capacities. A portable air conditioner does not require permanent installation. A ceiling air conditioner provides a larger coverage as compared to a portable unit. It circulates the cold air downwards therefore allowing it to reach virtually all parts of a room. 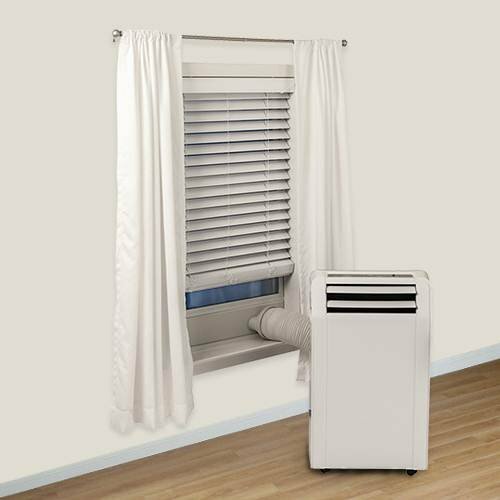 This makes it a suitable choice for large spaces that are equipped with items that are likely to obstruct air flow. The condenser of a ceiling air conditioner is usually positioned outside the building. This enables the cooling unit to provide a room with cold air without producing disturbing sounds. 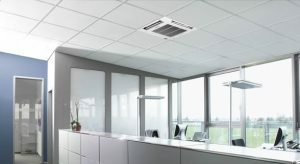 As a result, most ceiling air cooling units run quietly and they are a suitable choice for offices, living rooms, computer rooms and other spaces that demand quietness. In comparison, most portable air conditioners produce audible sounds that can be disturbing. Most of today’s air cooling units employ modern technology and feature variable speed fans and adjustable thermostats. Use of such technologies has helped to minimize the energy consumption of ceiling air conditioners. Although many air cooling experts argue that ceiling air conditioners offer higher efficiency as compared to portable units, it is important to note that they have limitations. Unlike portable units, ceiling air cooling systems are installed permanently and the user cannot move them without involving an expert. For portable air conditioners, a user can unpack the system and install it in less than half an hour. In comparison, for a ceiling air cooling system, the user must contact an expert before purchasing the system to ensure that the design of the ceiling can accommodate that system. Before purchasing a ceiling air conditioner, you need to ensure that your space has a suspended ceiling. A ceiling air cooling system may not be an option if the design of your house does not meet this requirement. In comparison, a portable system can be used in any house regardless of how it is designed.